The Government Accountability Office has recommended that the Army Contracting Command offer guidance to help its personnel comply with a policy regarding issuance of service extensions to vendors. GAO said Thursday it reviewed five contracts from the command and found three of the deals were extended for periods longer than what is allowed under the Federal Acquisition Regulation. FAR’s “option to extend services” clause states that bridge contracts should not exceed six months. Some federal civilian and military organizations apply the clause so they can continue to receive services from an incumbent contractor if they anticipate a delay in the award of follow-on contracts. GAO has also urged the Army Contracting Command to implement a program to train its acquisition workforce on how to utilize service contract extensions properly. 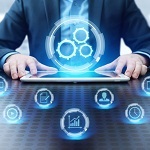 The General Services Administration is establishing a community of practice to enable federal government officials to share ideas and explore opportunities to advance the implementation of robotic process automation. GSA said Friday that Ed Burrows of the agency’s office of the chief financial officer will chair the RPA CoP, which will outline the best practices and determine technical options to realize the benefits of RPA and transition the federal workforce to high-value work in support of a cross-agency priority goal in the President’s Management Agenda.